Tulips (Tulipa sp.) 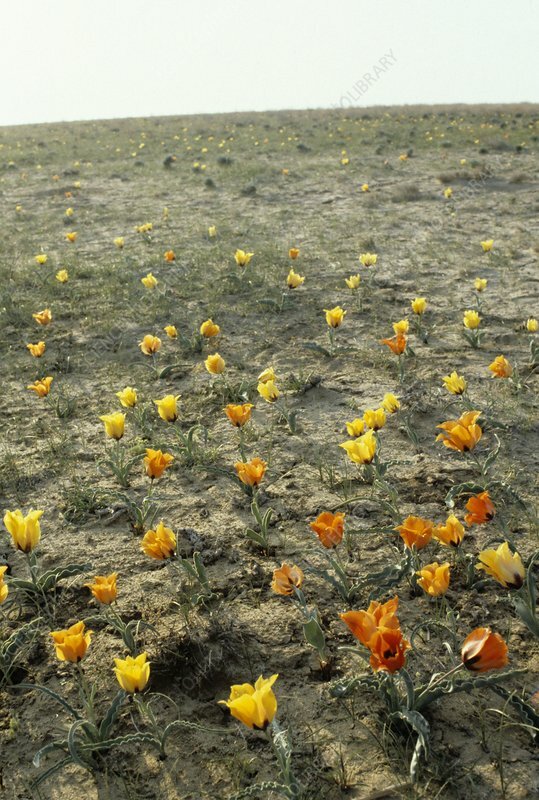 in flower on the steppes. Photographed in Kazakhstan.